The name Beidou means "North Star". The tea leaves of Beidou No 1 are extremely aromatic that you will capture its fruity fragrance as soon as you start filling up your heated gaiwan with this tea. Being the first generation of the Da Hong Pao tea plant species, it is accorded the number “1” status. This aromatic tea has a wonderfully harmonious combination of flowery and fruity taste. In the early 1950s, Mr. Yao Yue Ming started a Da Hong Pao research laboratory. Using a few stems from the original 800 years old Da Hong Pao tea bushes, he successfully created two new tea varieties. However, Mr. Yao's laboratory was later closed down and his research was destroyed during the Chinese Cultural Revolution. Yet, he continued his research in secrecy and through his dedication and determination; he finally perfected his creation. He named this tea, Beidou No. 1. The tea leaves of Beidou No 1 are extremely aromatic that you will capture its fruity fragrance as soon as you start filling up your heated gaiwan with this tea. 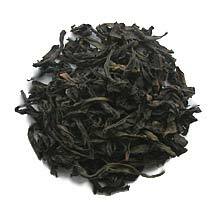 This aromatic tea has a wonderfully harmonious combination of flowery and fruity taste.